Our coupon promise is very very simple……. You will only pay the advertised price for your service and not a penny more! No up charges, hidden charges or fees, no high pressure sales pitch at all…and no paying extra for spots and stains. 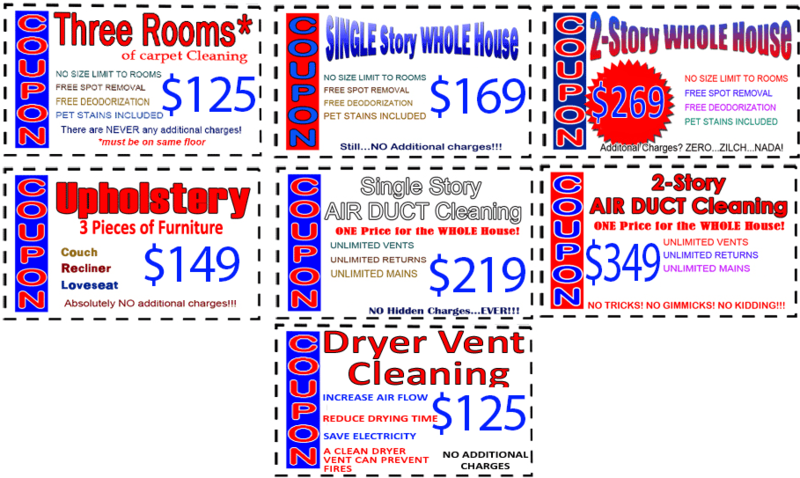 We have the BEST prices on carpet, upholstery, tile & grout, air duct cleaning and dryer vent cleaning ANYWHERE in Fishers and surrounding areas. We guarantee it!